Wild swimmers and jet skis: a match made in watery heaven? This one is set to be controversial but it is a topic once again coming to the fore as more sea swimmers take to the waters (which are only just starting to warm up) and the summer’s jet ski populations return to our beaches. I don’t know if you have noticed but even in the outdoor world, which is generally full of friendly, tolerant people, there are pairs of activity participants that often manage to meet acrimoniously. Take for instance walkers and cyclists, both share the same bridleways but there is sadly often a lack of common courtesy and understanding amongst them. The same is true for outdoor swimmers and jet skiers. As a swimmer I know first hand how frightening it can be to share a water space with a jet ski and yes, I do fear that an accident is waiting to happen, maybe even here in Torbay, however, I do think that a bit of education can go a long way, there is a responsibility on swimmers, personal watercraft users and water authorities to keep everybody using the water safe. 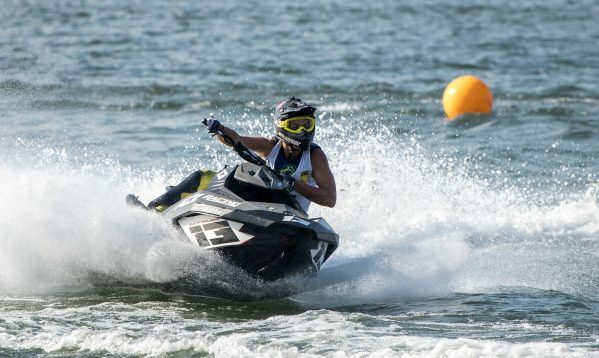 Bizarrely, in my other role as Freelance Blog Writer, I have done some research on jet ski behaviour, here are my thoughts (and they are only thoughts) on the topic of wild swimmers and jet skis. 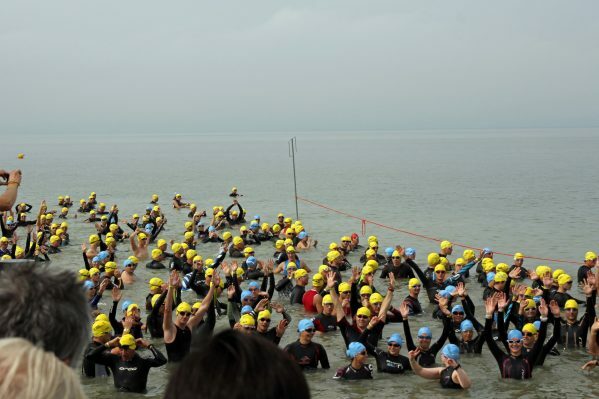 If you are an outdoor swimmer it makes sense to make yourself as visible as possible. 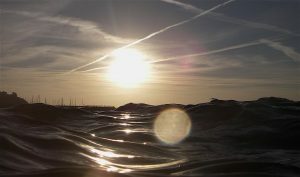 Unless you have an enormous head, you are going to be low down in the water and tricky to sea. A bright coloured swimming hat can help, as can a tow float and swimming in a group. If you are a jet skier it makes sense to be asking yourself whether or not there are likely to be swimmers in the water. If you head into a beach it makes sense to assume that there will be and make your speed and action decisions accordingly. Remember though, that outdoor swimming in the winter is growing in popularity and you may find swimmers where and when you are least expecting them. The outdoor swimming society encourage safe outdoor swimming. 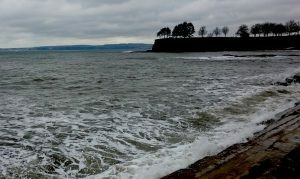 Their Nomad Wild Swim Safety Course will help new and existing wild swimmers to plan safe inland and coastal swims. 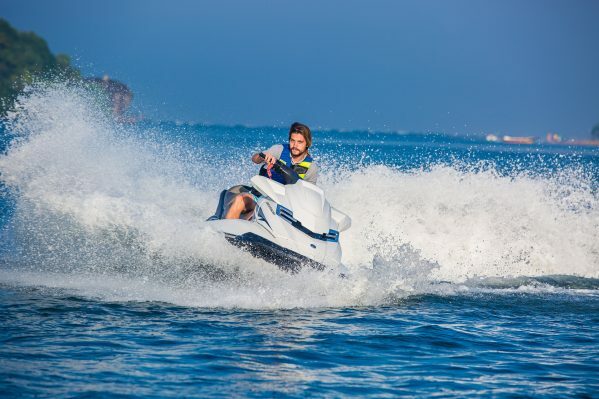 It might surprise you to hear that the RYA do not discourage the use of personal watercraft and offer a Personal Watercraft Course that will teach you how to use a jet ski both safely and with confidence. The course includes, launching, handling and recovery skills, passage planning and decision making, high and low speed riding skills, essential safety information, collision avoidance and orientation at sea. Collision with an outdoor swimmer is clearly something to be avoided. Speed restriction buoys (yellow), usually 4 or 5 knots mark areas beyond which you are not allowed to travel above the speed of a fast walking pace or slow jog (5 knots). These restrictions should be adhered to but we would suggest that PWC users consider how much damage a motorbike could do driving into a pedestrian at fast walking pace and avoid coming within speed restricted zones at all. Ski lanes (marked by yellow buoys) are only for water users engaged in water ski activities and only then if there is both a driver and a spotter on board. Tor Bay Harbour authority have useful ski lane safety advice. Ski lanes should not be used between sunset and sunrise and are not for general jet ski use neither are they for swimming. It is worth noting here that, although ski lane and speed restriction buoys are generally not in place during the winter, swimmers often are and, because their numbers are fewer, often less visible to watercraft.